If you are led by Jupiter in house 11 then this is for you. Learn about its influence in your personality and in your life. The natives of Jupiter in house 11 are people who believe in themselves and in their skills, therefore they usually influence society easily, always knowing how to gain the attention of all and to fight for the continuous progress. 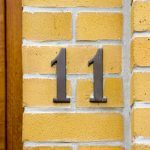 Jupiter in house 11: what does this mean for you? Revolutionary, radical, but also very human and generous, those led by Jupiter in House 11 do not usually measure efforts to get where they always dreamed or to make people follow them and believe what they say. Although they only rely solely on themselves to bring good fortune into their lives, they are also like social butterflies, who always need to be surrounded by family and friends. Exaggerated and very sentimental, the natives of Jupiter in House 11 usually take everything to the last level and defend what they believe in, even if this costs them love relationships, friendships or even professional ties. They love good debates and are willing to accept people from all walks of life. Still, they like people with some influence who can put their ideas to good use. Sharing knowledge is also something that excites you and makes you expand your references, not hesitating to keep in touch with people of different cultures and thoughts as they bring you interesting and different visions about things. Very influential, popular and well-liked, the natives of Jupiter in house 11 are naturally loved and desired wherever they go. They are excellent at organizing things and are also good planners with a keen sense of community. For the new cycle it is advisable to be focused on the new beginnings that await you, since it will be necessary to focus on the ideas, paths, words, desires and bonds that will be made. Watch out for people who do not bring you anything good. Do not let false delusions and intrigues distract you from those you love and those who love you. It is necessary to carefully and remotely analyze the territory in which you are treading and planting your seeds, because this will be definitive when deciding whether or not you will achieve what you expected. Keep on being a good reference wherever you go for those you love. Let yourself be inspired by your references and by what goals inspire you to want to go further. But most of all, be more connected to your personal works and projects and to those people who bring you good energy, so that you can have harmony and balance in your life and also help others have them in theirs.